I feel like pumpkin soup is usually hit or miss. Luckily, this one's a hit! It's not only scrumptious, but the super-easy ingredients cook up in one pot — gotta love that. The original recipe comes from one of my absolute favorite blogs, A Beautiful Mess, but I added some necessary salt and sugar — the keys to making this soup sing! 1. To toast the curry: Place in a small pan on the stove over a low flame, taking care not to burn. Once the curry becomes more fragrant, remove from heat (this should take just a couple minutes). 2. In a pot, heat oil and sauté onion and garlic until tender. Stir in toasted curry, cumin, and sriracha. Add pumpkin, coconut milk, brown sugar, and salt. Mix until combined and heated through. 3. If desired, use an immersion blender to purée the soup. Add a few tablespoons of vegetable stock if desired to thin the soup. If you don't have an immersion blender, that's just fine. Even though this soup is especially delicious when it's velvety smooth, you can eat your heart out whether it's blended or not. Still, when blended, the texture is divine, and I found the soup didn't need any vegetable stock to thin it when it was hot off the stove. The leftovers, however, will look very thick — but the soup liquifies like crazy as you reheat it, so hold off adding extra stock until it's hot. Last year, I made pumpkin cake and pecan pie for Thanksgiving dessert. Since I won't actually be at home with my family for the holiday this year, I made pumpkin cupcakes as a pre-Thanksgiving treat to share with them. I love how easy these were and how moist they stayed even days later — leave it to a Paula Dean recipe to make the magic happen. Her recipe is for pumpkin bars, but I went for cupcakes instead, adding more spice and using some applesauce instead of oil. Whether you try it my way or Paula's, these babies won't disappoint! 1. For the cupcakes: Preheat oven to 325 degrees. Grease a muffin pan. 2. Using an electric mixer, combine eggs, sugar, applesauce, oil, vanilla, and pumpkin until light and fluffy. 3. Stir together flour, baking powder, salt, baking soda, and spices. Add the dry ingredients to the pumpkin mixture, mixing at a low speed until just combined. Scrape down the bowl as you go. 4. Pour batter into the prepared muffin pan. Bake at 325 for 15 to 20 minutes, or until a tester inserted in the center of a cupcake comes out clean. Let cool in the pan, then move to a cooling rack. 5. For the frosting: Using an electric mixer, combine cream cheese and butter until smooth. Slowly add powdered sugar and mix. Add vanilla and sprinkling of cinnamon and mix. Spread or pipe on cooled cupcakes. Sprinkle with cinnamon before serving. *Note: If you want to pipe on a heavy layer of frosting, make double the amount. Another tweak I made to Paula's recipe: Less sugar in the frosting. Most cream cheese frosting recipes have too much sugar and you can always add more, so start with half of what's called for and go from there. Better safe than sickeningly sweet and sorry! 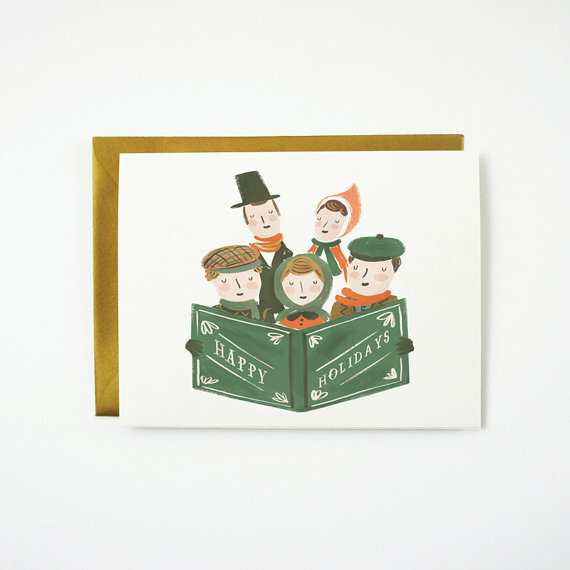 Earlier this week, I shared Christmas card picks from Quill and Fox and The First Snow. These two series of cards have a lot in common: adorable hand-drawn illustrations, a vintage feel, and an unabashed sweetness. Today's cards are definitely a deviation from the former — and I'm obsessed with them. I recently bought birthday cards from Seas and Peas and couldn't stay away! 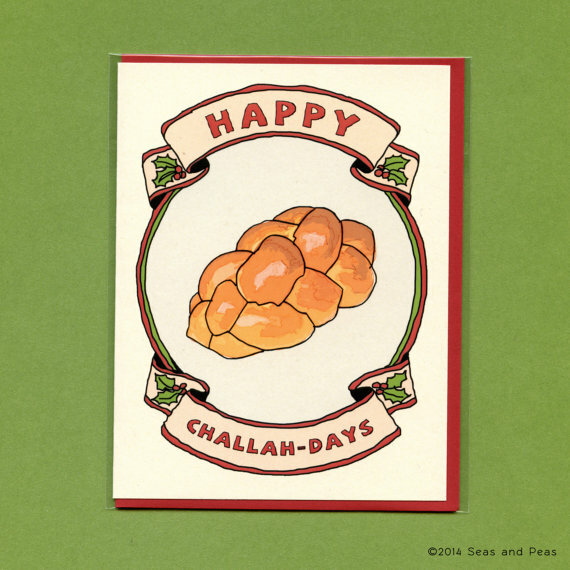 So if sentimental cards are a bit too much schmaltz for your style, try Seas and Peas on for size. In my quest for new Christmas stationery, I worked backwards to find this little gem of a shop. 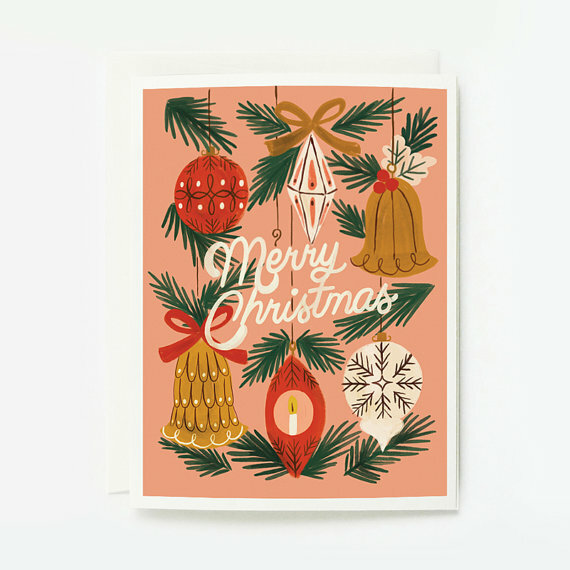 The First Snow has at least one card for sale through Anthropologie; on the Anthro site, you can always see the designer's name listed under the item name. 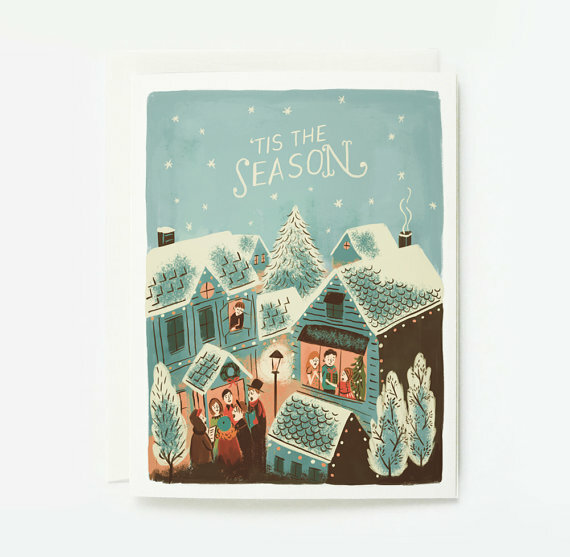 Off I went to Google and found The First Snow — an Etsy seller based in Denver, Colorado. 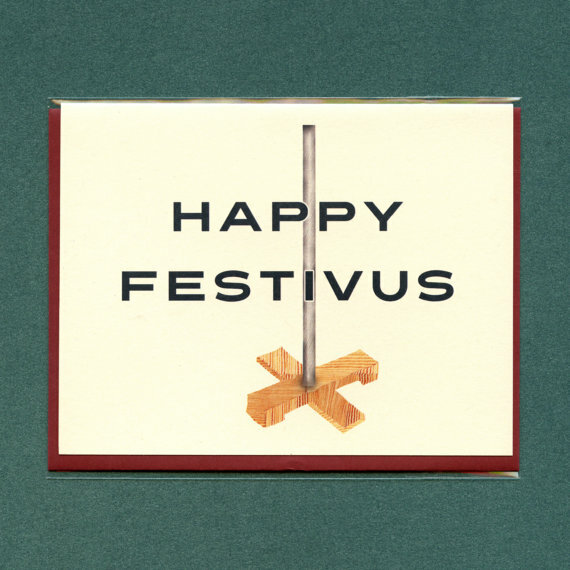 While there isn't a huge holiday selection, it's quality over quantity. The Fox Sleigh Ride is absolutely adorable. 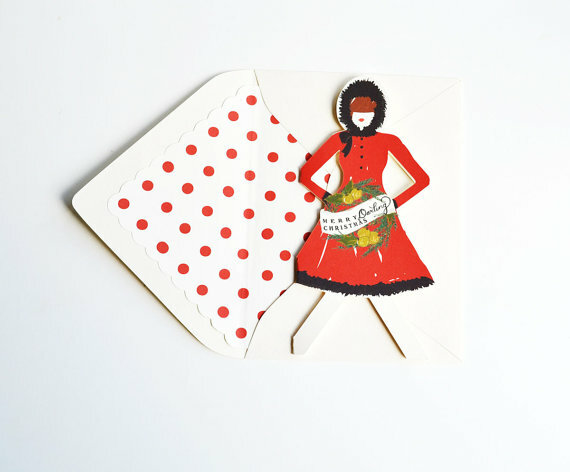 The paper doll cards would be perfect to send a little girl. The antique-y postcards are great if you don't want to bother with envelopes. And don't get me started on the polka-dot envelope liners. It's all about the perks! 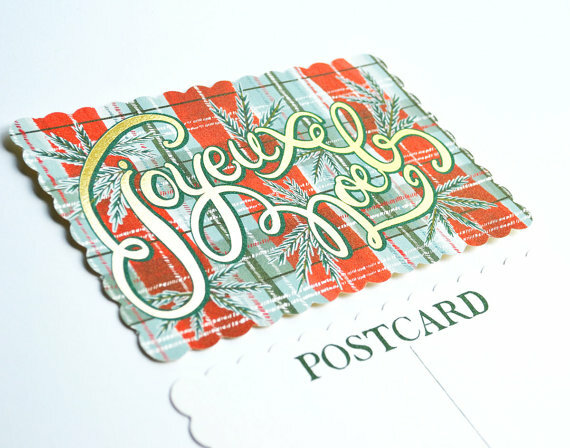 Last year, I was all about Rifle Paper Company's cards and postcards. I still think they're adorable, but there are hardly any new designs this year (why, why!?). 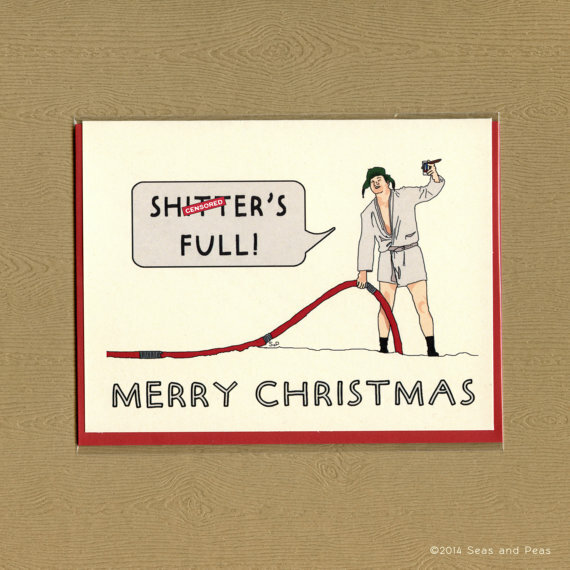 So I went in search of other fun Christmas card options. I'll be sharing my finds over the next few days, just in time for you to order your own cards before Thanksgiving. Because you're all obsessed with snail mail like me, right? Of course right. Today's picks come from Quill and Fox. 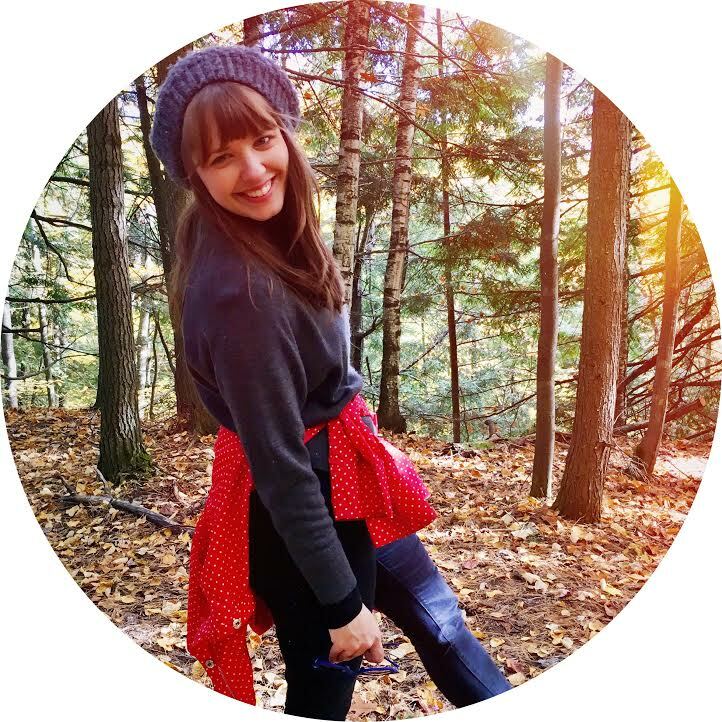 Hailing from Portland, Oregon, I've actually shopped with them before and had a great experience. Not only are the vintage-style drawings absolutely delightful, but the cards themselves are also high quality. 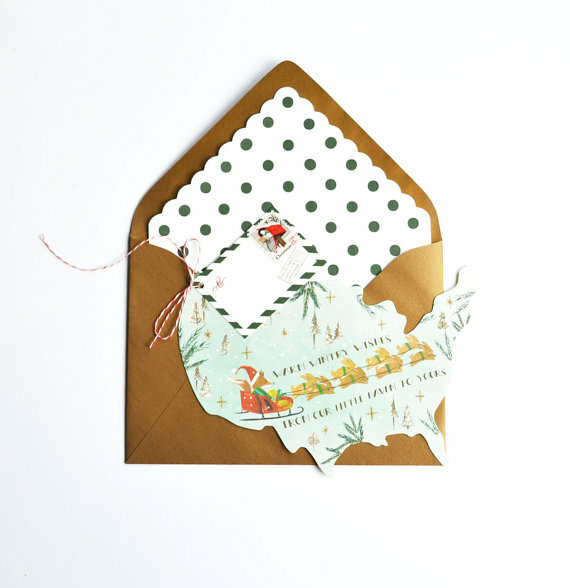 So if you're a fan of Rifle Paper Company but want to send something that's a little more Etsy, Quill and Fox is definitely the way to go! Next Act Theater presents "Bravo Caruso!" I don't know much about opera, except that I find it beautiful in the right context. This was one of those contexts. The intimate Next Act Theater set was that of an early 1900s dressing room, a brass-horned victrola playing records of opera singer Enrico Caruso. 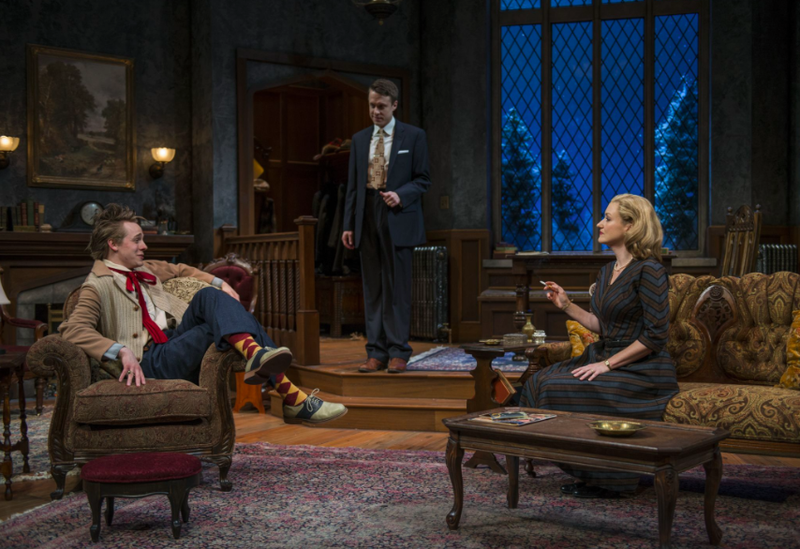 In my limited two-show experience, I've found that the Next Act Theater has a knack for embracing plays that are as intimate as the theater itself; Next Act's stage is teeny-tiny in the best way. Bravo Caruso! 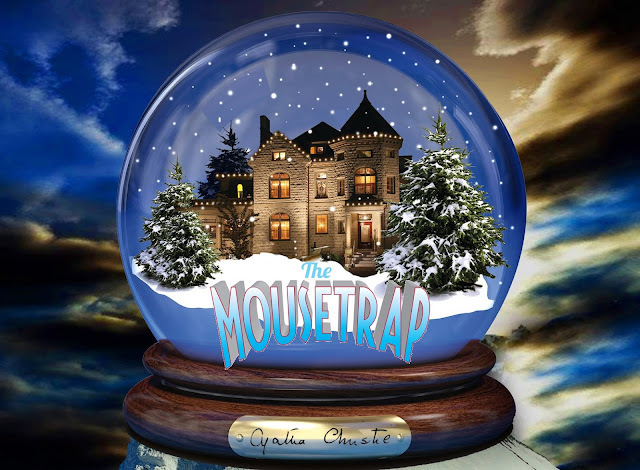 takes place on one night (Christmas Eve) in one room with just two people — Caruso and his valet. The renowned Caruso is talking to reporters (the audience) about growing up in Sicily and his experiences as an entertainer. We watch him prepare for that night's performance — a performance that would actually be his last. Though a little slow at some points (watching Caruso put on his stage makeup, watching the valet count 20+ presents), I suppose that's what makes Bravo Caruso! all the more interesting and more of a character study than anything. We witness not only the storied elements as Caruso gossips about his fellow opera singers and gets lost in memories of his mother, but we also see a man as he would be, truly, in his dressing room before a performance: intimate and real. The actors bring top-notch talent to their roles, humor included, and it was a pleasure to watch them become these amusing characters. 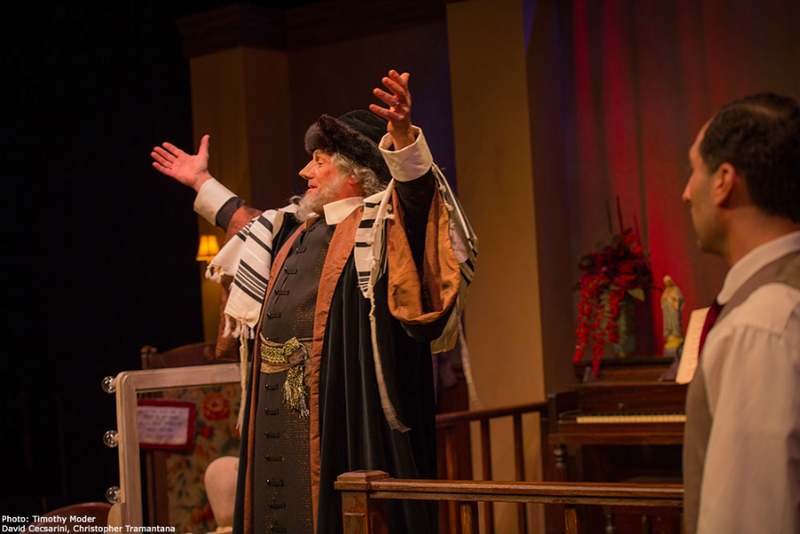 Opera fans especially would find such joy in these people and this play — so tell your opera-loving friends to get themselves over to the Next Act Theater by December 6th so they, too, can shout "Bravo Caruso!" This show is genius. Its creator is genius. I'm not going to even attempt to match it by writing some meticulously-crafted prose to pick apart the aforementioned genius. I just want to spread the obsession in my own small way. Cliffs notes: Hamilton is a hip-hop musical about the life of America's "$10 Founding Father," Alexander Hamilton. Reason 1: I'll say it again — hip-hop musical. Yep. Hip-hop and rap. 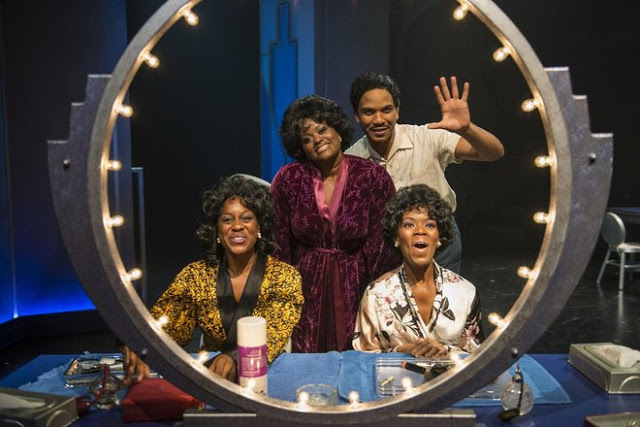 The music and lyrics are current and accessible in a way that other show-tune-y productions just aren't. So if you don't think Broadway is your thing, think again — Hamilton redefines the very essence of what show tunes can sound like. Reason 2: There's a jam for everybody. 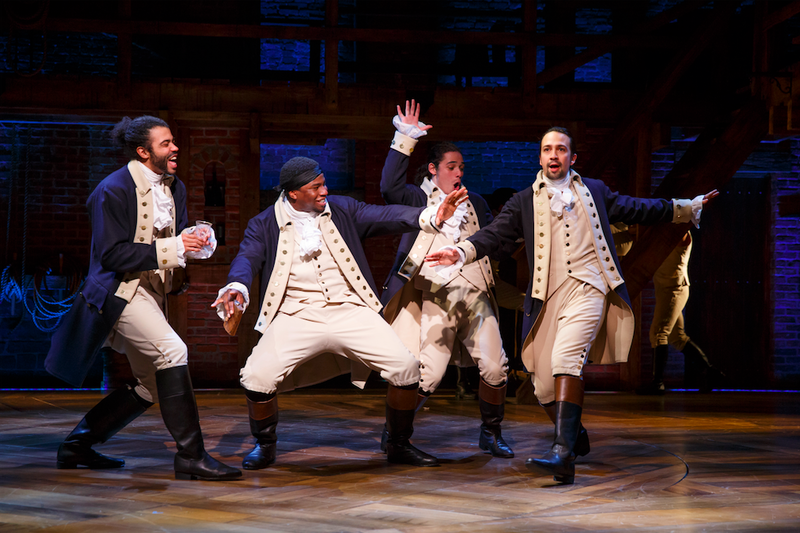 Show creator Lin-Manuel Miranda says Hamilton is essentially a Venn diagram where history, hip-hop, and musical theater collide — and though it's primarily hip-hop, there are references to all three of these unique pieces of the pie. 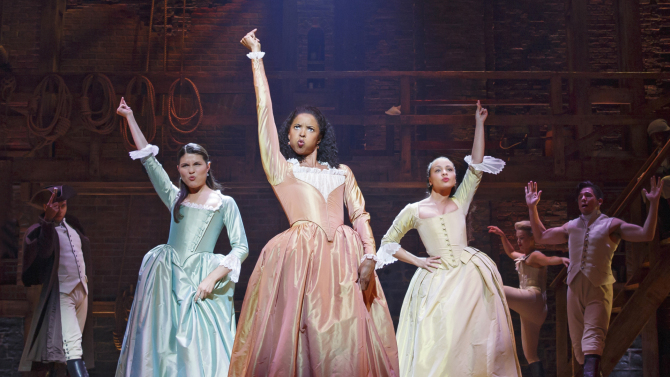 So whether you get caught up in the sweet melodies, quick rhymes, historical nuances, or bumping beats, Hamilton will hook your eardrums and emotions one way or another. For the rap lovers: "My Shot"
For the Destiny's Child fans: "Helpless"
For the show-tuners: "You'll Be Back"
My jam: "Wait For It"
Did you know that the father of America's financial system was an immigrant from the West Indies? Neither did I. As Lin-Manuel says, Alexander Hamilton's story fits the hip-hop narrative of starting from nothing and rising out of it. 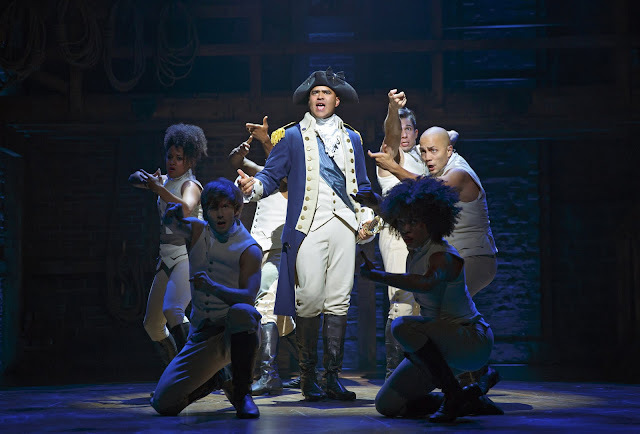 Hamilton seeks to humanize the Founding Fathers and bring a dose of our nation's history to the masses, while also re-imagining that history with players that reflect the face of modern America. Black George Washington? Listen to "Right Hand Man" and you'll soon discover you wouldn't want it any other way. Reason 4: Lin-Manuel Miranda is a genius. The man is a Tony winner who read a Hamilton biography by Ron Chernow and turned dry history into a Broadway smash. His lyrics are so layered and jam-packed with references to history and Broadway and hip-hop icons that you will, no question, hear something new with every repeat listen. Check out genius.com to get sucked into the brilliant black hole. Oh, and Lin-Manuel stars in the show as Alexander Hamilton himself. So. Still need further proof of genius? Watch him freestyle rap on the Tonight Show. Now go listen. Get obsessed. Then we can geek out together! Oh, and if you have $300+ to spare plus airfare to New York, CALL ME. P.S. I don't own the pics, I'm just a fangirl. RISE UP. Yesterday I shared a recipe for super-easy, super-delish lemon rosemary chicken breasts. Now on to the side dish! My dear friend and hostess extraordinaire, Shea, brought this mix of veggie deliciousness into my life. Pinch of Yum calls this an "autumn glow salad" — a tantalizing way to sell roasted sweet potatoes and cauliflower. It's really so good, especially with some tweaks. 1. Preheat oven to 425 degrees. Line a baking sheet with foil for easy clean up. Cook quinoa according to package directions. 2. Chop up the sweet potatoes, cauliflower, and herbs (not parsley). In a bowl, toss together with a drizzle of olive oil and sprinkling of salt and pepper. Continue tossing, drizzling, and seasoning until all the chopped potatoes and cauliflower are pretty well coated. 3. Spread chopped veggies onto the prepared baking sheet (spread in an even layer for the best roasting results). Roast in the 425-degree oven for 20 minutes. Remove from oven, toss the veggies to ensure even roasting, then roast another 15 to 20 minutes or until tender. 4. Meanwhile, make the dressing. Combine all of the dressing ingredients in a bowl and whisk until combined, or pour into a lidded jar and shake until combined. 5. When veggies are done roasting, place them in a large bowl with the cooked quinoa, chopped apple and nuts (if using), and a handful of craisins. Slowly add dressing to taste, tossing to coat. Add a handful of finely chopped parsley and toss. * Salad can be served warm or chilled (I prefer warm!). The tweaks I made: Be sure to use fresh herbs and toss them with the veggies before roasting — don't just place sprigs of herbs on the baking sheet. I tried it that way the first time and the results weren't as flavorful. Also, while the apples make sense and add a lovely harvest touch, I wasn't big on the texture they added — craisins were much better in both flavor and consistency, in my opinion. Same with the chopped nuts — you just don't need them. I also didn't add the parsley to the dressing, as Pinch of Yum suggests; the oil just weighed it down. To avoid soggy parsley, add it at the very end instead. Pinch of Yum also recommends storing the salad and dressing separately if you have leftovers, but I found combining the two works just fine. With the leftover salad, I added chopped leftover lemon rosemary chicken for seriously scrumptious chicken-veggie bowls. Pairing these flavors was like eating spoonfuls of autumn. Talk about yum. This chicken marinade (tweaked from allrecipes.com) is pat-yourself-on-the-back delicious and so easy to throw together. Like, weekday morning easy. Then you come home to perfectly-seasoned chicken, give it a quick pan fry, and it tastes so good that you really bask in the kitchen-rockstar feeling. "What, this flavor explosion? It's nothing really," said with a casual hair flip. I love that feeling. *Note: If you're making more than dinner for two, double the recipe! 1. Whisk together all of the marinade ingredients in a small bowl. Use a fork to poke holes in the chicken breasts. Pound the meat so it's roughly the same width throughout (this will not only tenderize the meat but give you the most even cooking results). 2. On each side of each chicken breast, season with salt and pepper. Dredge each side of each chicken breast through the marinade. Place all of the seasoned, dredged chicken in a freezer-sized ziplock bag. Pour the rest of the marinade into the bag. Place in the fridge and allow to marinate at least a few hours, all day, or even overnight. 3. To cook, melt some butter in a pan on the stovetop (about medium heat). Place the marinated chicken in the pan and cook for a couple minutes until nice color forms. Flip the chicken, reduce heat a bit, and cover. Cook for about 10 minutes (depending on the size of the chicken breasts) or until no longer pink in the middle. I served this with yummy veggies (recipe coming soon!) and it basically tasted like Thanksgiving in my mouth. Scrumptious and full of herbs and lemon — beautiful if you're big into the flavors of fall. So try this and get ready to feel like the kitchen rockstar you are! Before this brunching escapade, I'd only been to The Knick once before — when Adam and I first started dating. We were fresh out of Marquette and by no means raking in the moola, so when we sat down on The Knick's lovely patio and saw the prices for boozy ice cream drinks, we politely excused ourselves from the premises. Sad but true. Anywho, I'd been hearing about the fabulous brunch at The Knick for a while and recently had the chance to try it. The hotel restaurant hosts breakfast on Saturdays from 9–2 and brunch on Sundays from 9–3; the menu varies slightly on each day. The atmosphere: Snazzy. Maybe not the snazziest spot ever, but it's modern, fresh, and a little funky with its gorgeous collection of blown glass fixtures. I was brunching with my mom and Aunt Kal who is a frequent patron of The Knick. While there was a particularly raucous crowd seated next to us that morning, Kal assured us that it's usually not quite so noisy. There was a wait when we arrived — and we waited for over an hour. Luckly we were waiting at the bar with mimosas that really hit the spot. To avoid the long wait, make a reservation on Open Table. Now on to the eats. For my mom: Banana Pecan Pancakes with whiskey butter and maple syrup. Look at the size of that plate o' cakes! Personally, I'm partial to thinner pancakes — as is my mom. So she wasn't all that enamored with this not-so-short stack. Still, I had a taste and they were yummy, if super-fluffy pancakes are your thing. Kal went for the Crab Hash (a favorite of Yelp reviewers): Hashbrowns, crab meat, onions, and two poached eggs. She was all about it. As for myself, it was the Huevos Rancheros: Black bean and pepperjack cheese quesadilla topped with two eggs, breakfast potatoes, salsa, pico de gallo, and quesa fresco. Like I told my mom after brunch, it wasn't exactly life-changing (not like the Mexican-style breakfast we had that one glorious morning at Cafe Corazon), but I'd still totally recommend it. Clean Plate Club? You better believe it. All in all, I won't be racing back to The Knick — there are too many other brunch spots in Milwaukee I've yet to try. And (in my humble opinion) The Knick's pancakes don't hold a candle to a certain other hotel's lemon blueberry pancakes. Still, it's definitely worth crossing "brunch at the Knick" off your Milwaukee brunch bucket list. Next time, I'm going back to splurge on those boozy ice cream drinks! Trick or treat, teeth are neat! My mega-amazing friend Fritz — er, Dr. Mary Frances — started her own dental practice this summer: Jahnke Dental in Oconomowoc. Last weekend, a group of us joined her for a walk in the Oconomowoc Halloween Parade in the name of oral healthcare. Turns out, parades in O-Town are kind of a big deal. Rain or shine, the show goes on, and we saw a huge turnout on Saturday despite the cold, misty weather. In our costumes, we felt some combo of silly and invincible. It was fun to shout things at the kids and put on a show for them. "Gimme a big smile!... Don't forget to brush!" Fritz's boyfriend Tim sported a monster costume. Fun fact: Gingivitis is purple and furry. Fritz dressed in her white coat and a pair of wings — classic tooth fairy. When we eventually ran out of the goodie bags we'd been furiously handing out to the crowd, Dr. Jahnke took to brushing the kids' teeth with a jumbo tooth brush. They loved it. The level of dedication and support in the Oconomowoc community is pretty amazing. If this was the "small" parade, as the parade organizer told us it was, imagine what a big parade looks like. If we handed out all 500 goodie bags halfway through this soggy parade route, imagine how many goodie bags we'd need on a sunny day. For my part, if Jahnke Dental joins in the Oconomowoc Christmas parade, count me in! I'll be the giant smile singing "All I want for Christmas is my Two Front Teeth." Reliving things to do, eat, and see as a tourist in San Francisco. Seeing Dreamgirls at the Milwaukee Rep.
Whipping up easy Italian sausage pasta with tomato-cream sauce. Sending some amazing birthday cards from Seas and Peas. Rediscovering my new favorite bar cookie: Oatmeal carmelitas. Thrifting at Dime a Dance and Purple Velvet Vintage. Getting my pumpkin fix with yummy pumpkin maple muffins.